I don’t mind admitting that I’d looked forward to this trip for a long time. I first looked at a course offered Bushcraft Expeditions through Bushcraft UK in 2010 but dates and finances just didn’t work for me at the time so I decided to start sorting my gear out back then. In 2011 a change of circumstances left me unable to go again so I was determined to go this year come what may. An advanced course was planned as well as the basic one so I shifted some bookings around with the co-operation of my customers and ring fenced a fortnight to do both courses. It then transpired that there were not enough people booked on the ”Basic” so that was cancelled leaving only the “Advanced” course running. Not to be deterred, I set out planning a week out near the course location on my own. I didn’t know what conditions would be like so flights were booked online and I also booked two nights in a hotel and one night in a cabin to support the trip, giving me the opportunity to dry out gear if necessary and charge up camera batteries as required. Little was I to know that this part of the plan would create the only significant problems on the trip. Saturday: My first flight brought me to Oslo Airport the day before my onward flight to Bardufoss. It was too early to check the baggage in for the next flight so I used the left luggage facility so I wouldn’t have to watch after too much stuff and went for a wander about. I did think about finding somewhere to bivi down near the airport but my onward flight was fairly early so I decided to just sit it out in the terminal instead. A friend had lent me a spot satellite transmitter so I could lets Debs know I was OK and while finding somewhere to sent a signal from I found an abandoned bottle of vodka in the car park. I wasn’t about to try drinking the stuff but I thought that will at least give me a day or two’s fuel for my stove if I have problems finding any meths in the local stores. 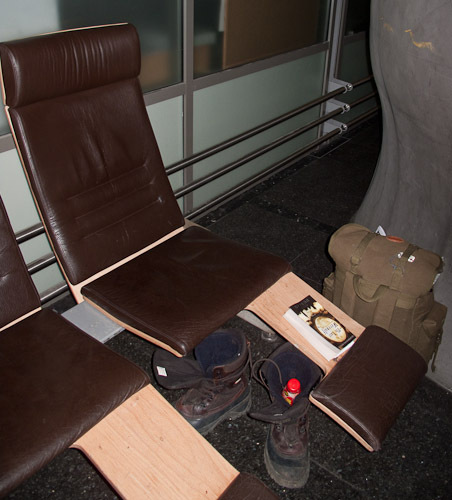 There are some comfortable chairs near the left luggage booth and the one at the end also has a little space by it that you can put a foam mat down to catch a bit of sleep. I settled down with a book and my hand luggage and watched the world go by. A few others were doing much the same and I made an agreement with a Turkish gentleman next to me to watch after each others seats as we went for refreshments and the like. Sunday: Flying over Norway it is not hard to see why they have a very different approach to the outdoors than the British. Here is a wild landscape on a huge scale with a relatively small population. It’s something we just don’t get in the UK. 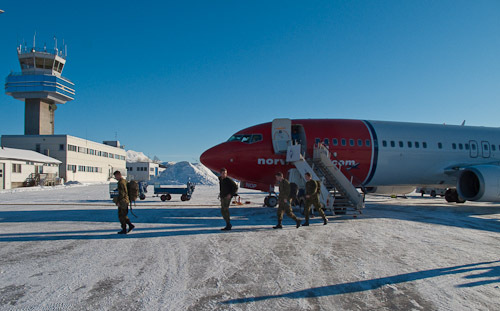 The flight to Bardufoss was packed with Norwegian soldiers who looked like regulars on the route. After touchdown I collecting my two bags. In the end I’d settled for a sports duffle and a longer bag containing my pulk that had been booked in as a ski bag. These needed to be broken down to pack it onto the pulk which I did just outside the terminal. It was just a short 2km walk into Andselv which was my first stop on the trip. The weather was bright and clear and although I was tired from travelling I would have liked to have got properly started out. I had however booked the hotel for this night because arriving on a Sunday, there were no shops open to get provisions until the next day and after a restless night at Oslo it was probably wise to get a good nights sleep. 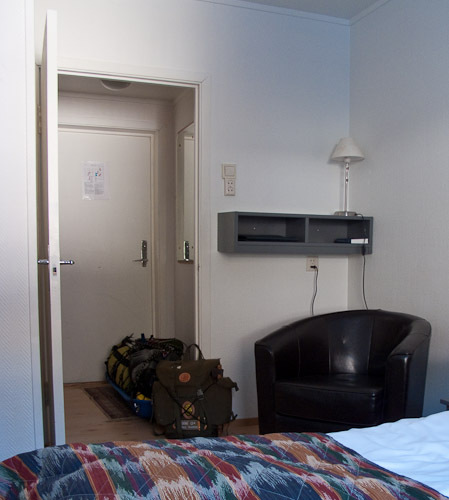 Once I had checked in to a small but comfortable room I set out for a bit of a recce round. There were a couple of supermarkets Andselv and a small DIY shop that I could get meths or “Rod Sprit” from in the morning. I took a few bearings to check the local magnetic variation against the maps I had downloaded and returned to my room to sort my gear out for the trip. 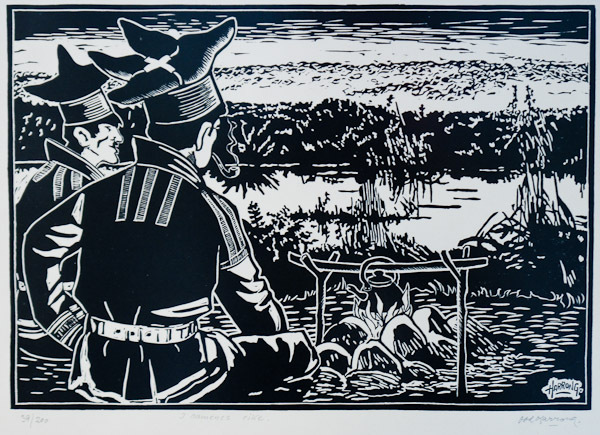 The print on the wall on my room, depicting two Saami herders sat by a camp fire, caught my eye and once again made me wish I didn’t have to delay the start of my proper trip till the morning. After all the planning I was eager to get out so I decided to have another wander around after dark to see if there was anywhere I might be fortunate enough to see and photograph the Northern lights from. Luck was certainly with me this evening as it turned out. Geomagnetic activity on the sun measuring 4 on the K-index (A scale of 0-9 with 9 being the strongest.) was showering the Earth with solar wind. Our magnetic field was doing it’s constant and often underrated job of stopping that radiation from frying us. 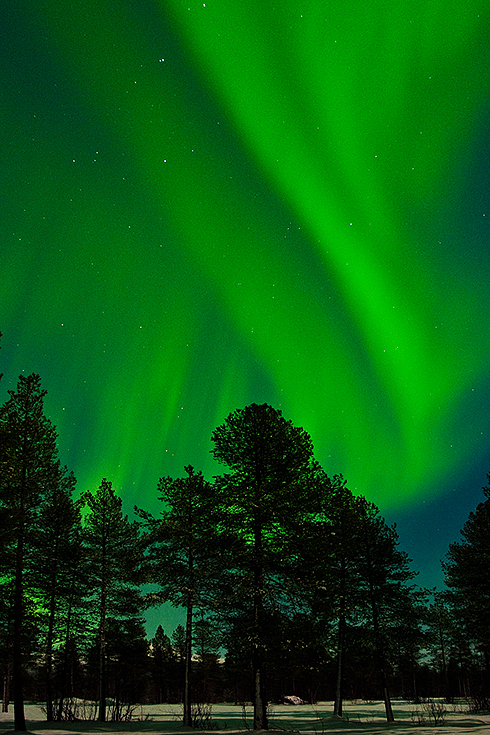 As a neat little side effect we were being treated to a spectacular display of the Aurora Borealis. I had noted the location of an old quarry near the airport, I was thinking of using it as a stealth camp on the last night within easy reach of the terminal for an early check in. Now it offered some good potential viewpoints that excluded some of the local light pollution. My best camera had developed a fault with perfect timing just a few days before departure but fortunately a good friend had lent me a body compatible with my lenses for the trip. I had a pocket full of batteries and a medium weight tripod so I set off eagerly towards the quarry. Most of the batteries turned out to be worthless junk, failing to perform at all at -12°C. This was a major disappointment and the few decent power packs I had that worked well still needed a bit of care to get the best from them. I taped disposable hand warmer sachets to the outside of the battery compartment to slow the cooling of the cells and regularly swapped them with warmer packs inside my clothing. This was amazing luck, You can visit the Arctic many times and never see the lights. I had been treated to a great display on my first night. To say I was pleased would be a massive understatement. Monday: Up for a hotel breakfast followed by a quick circuit of the shops to lay in provisions. By 11:30 I was packed and finally ready to go. I was intending to carry my day pack while dragging the pulk but I soon decided that it was easier to strap that on the pulk as well. This remained the case for the rest of the trip. Large parts of the area around the airport seemed to be dedicated to military exercises, much like our Salisbury Plain. I didn’t know what the access issues might be so I kept well clear of them. This meant that I was somewhat road bound for this part of my journey but that seemed to be no hardship as the snow ploughs had left a narrow strip of pulverised ice, much like snow, at the side of the road that the pulk glided easily across. I had planned a route taking me to Malselvfossen where I had a cabin booked mid week, leaving me time to get back and rendezvous with the rest of the participants for transport to the course area. About halfway there I found this. I selected a mound at the far end of the car park, well away from the road and used an avalanche probe to measure it out and decide on the best orientation. With a good plan in mind I set to work with a shovel and a snow saw. Some of the snow had set rock hard which made digging and fine work somewhat difficult but as I dug I threw snow back over the top to fill in a few gaps here and there. Being so well consolidated I had little to fear from collapse and as the light started to fade the inside of the shelter soon came into shape. With a thick down filled air mattress on the bench and two sleeping bags nested in a bivi bag I was all set for a cosy nights sleep. I had a good down jacket with me that was packed in a dry bag twice the size it needed. By opening this up a bit and shaking the down to loft it, this provided an excellent pillow whenever needed. I can honestly say I was at least as comfortable as I would be in my own bed at home. It was a car park in the woods that served as a trailhead for a path leading to Snauhaugen, a local peak. 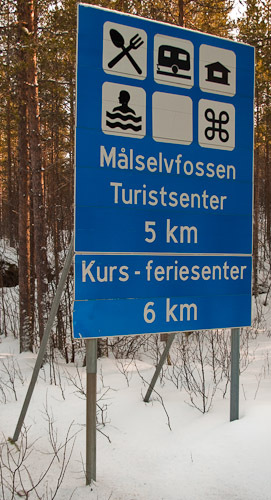 With typical Norwegian efficiency, it had been cleared with bull dozers, leaving huge piles of snow in various places. 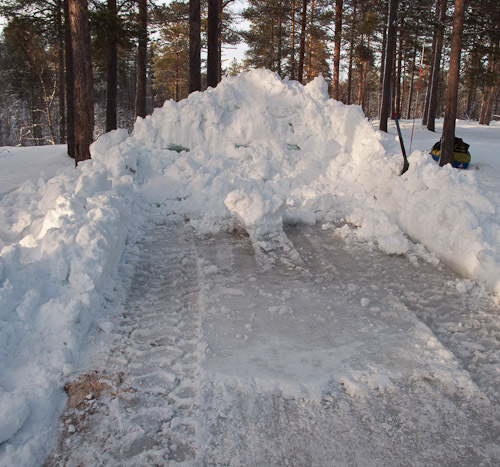 The entrance had then been sealed off by a bank of snow left by the snow plough. It was the piles of snow that caught my eye. To my way of thinking, here was a quinzhee with most of the hard work already done for me. I made the entrance quite high initially to aid working in the hard snow and I would fill in the top part again later to improve heat retention. I cut a bench about 12” from the ground to allow the cooler air to sink below the sleeping area. As it happened the space was so well protected from the wind that I left the entrance quite high for easy access and it was quite comfortable. 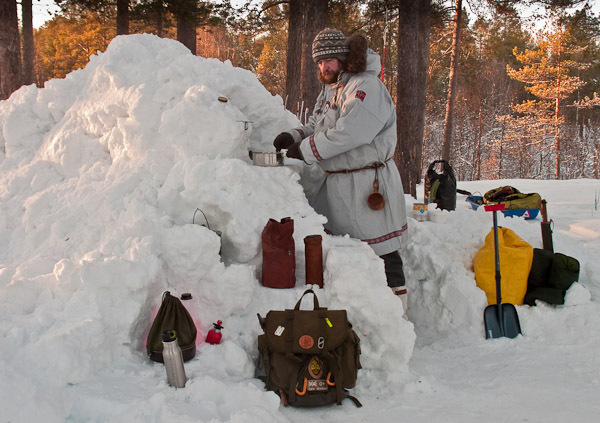 Outside, I cut a small alcove to act as a windbreak for my stove and started to melt snow for water, a constant chore in these conditions. The moon was waxing gibbous so there was plenty of light to work with as I then started to cook dinner too. A single tealight provided more than enough light inside the quinzhee for my dark adapted eyes. All was well in my little world but 93 million miles away the sun was busy too. 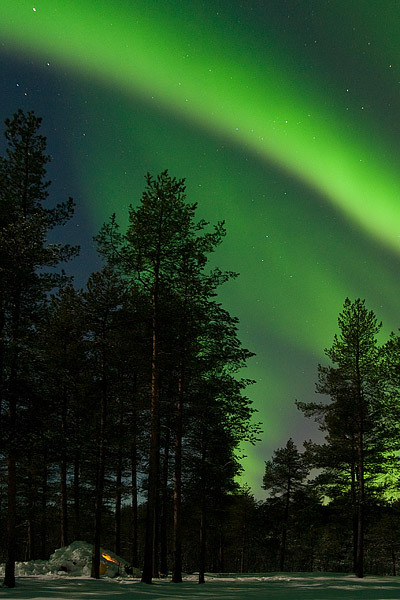 I have seen the Northern lights before but never this bright and never on more than one night in a row. The last time I photographed them I grossly underexposed them and eventually I lost nearly all the images in a catastrophic hard drive failure. 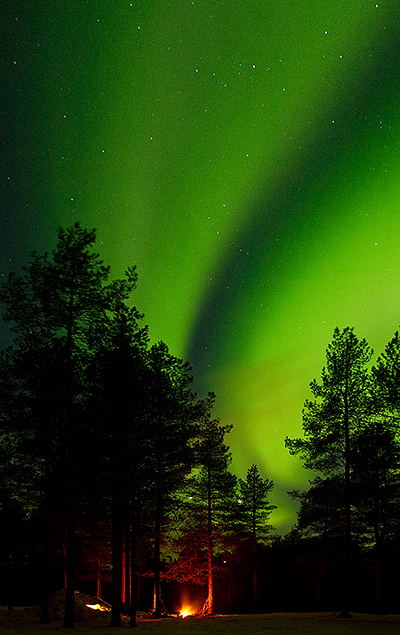 Seeing the lights again was high on my reasons to come back to the Arctic and when my camera expired just the week before I felt it was an ill fated desire. There was a little light pollution in the North West and the moon occupied another part of the sky but that still left most of the sky for shooting. The trees around the clearing provided a majestic foreground for this awesome natural spectacle. It seemed like wherever I pointed the camera I couldn’t fail to get a stunning image. It doesn’t get much better than this. What a night. Tuesday: Back down to Earth, there are certain routines that need to be observed if you wish to remain comfortable in the kind of environment for any length of time. Airing sleeping bags is one of them. While this may be disregarded for a night of two, if left for too long significant moisture will build up in the insulation and the performance will soon begin to suffer. I used an Alpkit down bag nested in a Nanok synthetic one all inside a breathable bivi bag. My hope was that any vapour would migrate into the synthetic bag before condensing. This seemed to work well. The only moisture I detected at any time over the fortnight was on the outside of the Nanok and the inside of the bivi bag which was easily dried out. For my part, I was never cold or uncomfortable and slept remarkably well in all conditions. Clothing also needs airing for much the same reasons and I took whatever opportunity was available to do so. My parka performed well but it rarely got cold or windy enough to really test it. Another item, or rather items that worked well were the “Vuoddaga” that Debs wove for me. These are a traditional Saami idea, similar to puttees that hook into the boot laces and then wrap around the bottom of your trousers to keep snow from getting up your leg or into your boots. Beautifully simple and easy to dry as well. I like ideas like that. For once food storage isn’t much of a problem. Anything that can be cooked from frozen is easy of course. Keeping food fresh is really easy. I had anticipated problems with drinks because I don’t like tea or coffee and don’t really do the hot drink thing much. I took along some ice cube bags intending to freeze the local Solbaer syrup (Blackcurrent) and then drop them into warm water to make squash but I was delighted to discover that it doesn’t freeze, at least not down to -14°C. so no problem. There as no shortage of tracks to be found in the snow, most were mountain hare like these but I also found reindeer and elk going right through the area I was camped in. The elk passed by sometime on the first night just 20 paces from the quinzhee and seemed to be browsing on the scrub just the other side of the clearing. 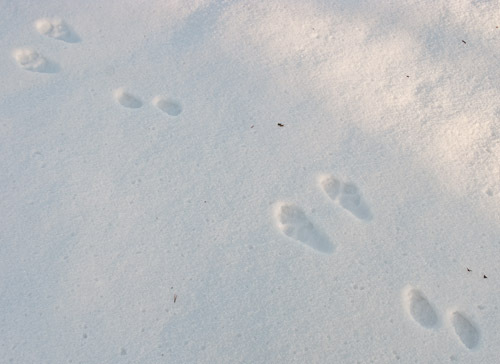 Once or twice I thought I found predator tracks following the hare tracks but on closer examination it turned out to be the hares habit of back tracking and jumping its own trail to confuse pursuing animals. Even so, there must have been some big hares in the area as you can see comparing the print to my Swiss Farmer knife here. In the morning I decided to make my kitchen area a little more comfortable. 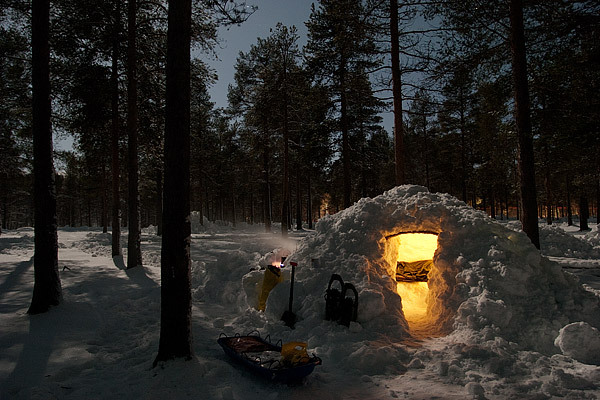 This is one of the advantages to camping in the winter. 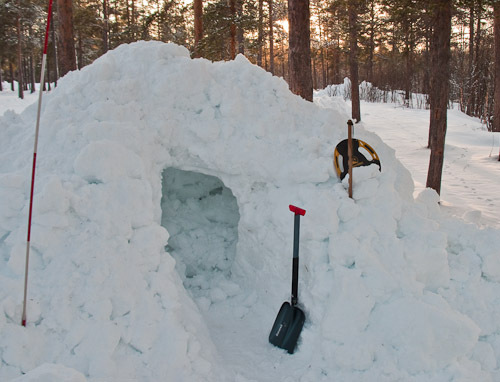 Snow is a great building material. I cut a second alcove at a better height for cooking and made a few holes to insulate bottles and food a bit. I ended up with a tasty wild mushroom casserole with hotdogs in it. Such is life. 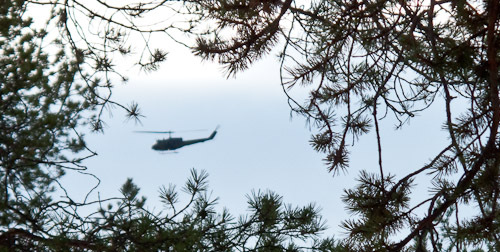 There was lots of military activity going on, an exercise of some kind with choppers everywhere. It sounded like a scene out of “Apocalypse Now” at times but the ground forces were all driving little tracked golf buggy type things with trailers up and down the road. It looks as if this area is used occasionally too because there are some fox holes dug in and a few lean to shelters around too. The temperature is rising a bit to -6°C. There was a slight display of lights again in the night but nowhere near as strong as before. Temperature down to -16°C. overnight. Wednesday: Back on the road again. It seemed a shame to leave my little home but I had a booking for a cabin to honour so I packed and made my way towards Malselvfossen. A couple of kilometres on I saw the first sign. I’d had to work my way through a web site with no English pages and only Google translate to help me navigate. I was armed with a printout of my reservation so after an 8km walk dragging a pulk behind me I was not particularly impressed to find the campsite closed and full of soldiers. When I eventually found someone who could speak English I was informed that they didn’t know how to turn the website off in the winter so they just ignored the bookings that came through! I wasn’t quite speechless but I won’t print what I actually said here. I was fortunate I suppose that I had not arrived in atrocious conditions hoping for shelter that was not available. I cannot believe how irresponsible that seems to me. At least I had somewhere safe to return to so I turned my pulk around and returned to Camp Quinzhee as I had now mentally labelled it. The best part of a day tramping the roads, I got back tired, footsore and demoralised. This was not my best moment. I sent Debs three “OK” messages on the transmitter as it was clear my plans had changed and then sorted some food as the sky clouded over. Norwegian fish cakes in Lofoten fish sauce, a good combination. The temperature rose to about -6°C. overnight and I actually ended up a bit too warm so I opened up the bags a bit in the night. Thursday: The Mukluks I’d been wearing since the hotel were getting a bit damp, so it’s back to pac boots for these temperatures. I noticed the first signs of wear on the pulk as well. The roads are covered with ice but there is a bit of grit in the ice which cuts the runners a bit. By 09:00 the sun has broken through and the temperature starts soaring -2°C. and then +2°C. by 11:00 with a few flakes of snow. I made a few alterations to the quinzhee in case the snow got heavier. Mainly rigging a plastic tarp that could be dropped over the entrance to keep it out. I decided it might be a good idea to have a fire if it was getting damper so set about looking for decent wood. One of the old lean to shelters had fallen apart so that provided some dry timber. By 14:00 there are the first signs of melting snow on the snow shovel blade. I dropped a dead hanging pine with the Trailhawk and used the pulk to bring it back to camp. There was a burned stump near to the quinzhee which gave away the location of an old fire circle. I dug down and sure enough there was charcoal all around it. The hawk was definitely a good choice to bring, it was a lot more effective than a Leuko would have been for much the same weight. By 15:00 it’s snowing lightly and the temperature is hovering around 0°C. 21:00: I’m sat by a nice little fire when in moves the army with low loaders and bulldozers. It looks as if they are setting up camp in here for the night as well. Listening to the racket of vehicles, generators and compressors I start gathering my stuff together to move out. Tonight if need be, in the morning if not. I knew snow was a good heat insulator but I’d never realised how much sound it must block out too. I stood there stunned for a while before unpacking and settling back down to watch a bit of Bush TV. for the evening. Friday: A red sky in the morning which I hope is not a bad portent for the day. By 08:30 it’s already +2°C. More firewood needed so I drop a snagged dead birch and chop it up as best I can do with a Laplander saw. Hopefully that will do with what’s left over from the night before. 12:00 wind picking up and temp. now +5°C. The sun disapperars and I look over my shoulder to see a very “wet” looking cloud coming in. A few spots of rain follow. All change again. I rigged up a tarp over half of the fireplace and used the pulk to shelter the actual pit until it was lit. A chance to take it easy then. Enough firewood for the evening and I’ve got to return to Andselv on Saturday. Not much beyond the usual routine to do. Time to reflect on things so far. The gear all worked well with the exception perhaps of the pulk runner that had worn badly. I can’t really criticise that because it was not really designed for use on roads. It’s certainly a much easier way of getting 40Kg around than putting it on your back. 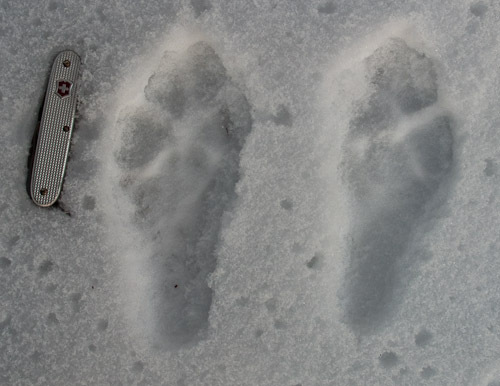 The boots worked very well but the line between Mukluk weather and Pac boot weather seems to be about -10°C. The sleeping system was superb and dry bags are definitely worth their weight. 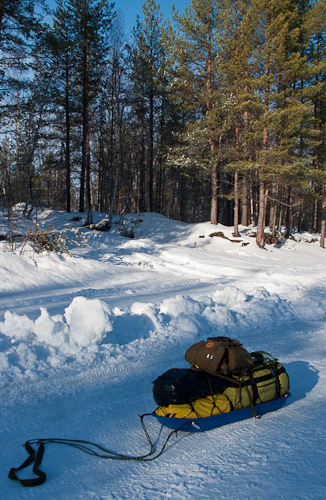 The sports duffle was remarkably snow proof, easy to access and good for packing on the pulk. The Hawk was good and the hammer poll was been useful as well for smashing ice from firewood and such like. The Trangia burned everything it touched apart from water. It needs some kind of heat spreader and I’ll look at that when I get home. 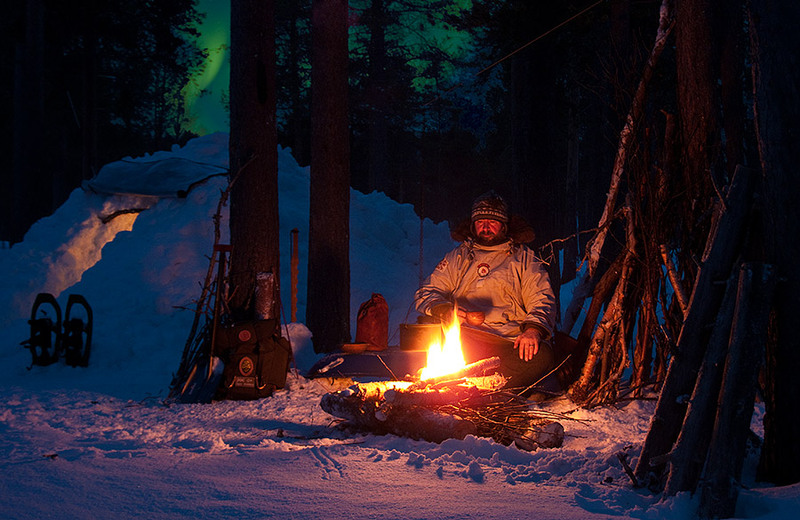 One last night around the fire with some Northern lights just to make things perfect. All in all a great way to get myself settled in before starting the course on Sunday. Saturday: Mixed sky, clear and cloud and a smidge over 0°C. Lessons to be learned. 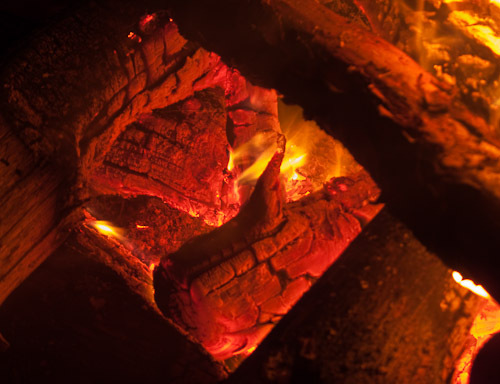 Never hang your saw on the firewood stack in the dark. The Laplander is no more. I departed Camp Quinzhee in light snow but the roads were more grit and ice than snow now. There is no alternative but to hope the runners hold up to the punishment. I failed to consider the effect the thaw would have on the roads and then paid the price. By the time I get to the hotel all the runners are badly worn. A twin room this time which is ideal for airing all the kit out. I must admit that the small but deep bath tub is very inviting. I have to run the battery charger flat out to get all the cells recharged although I’m not sure the cheap ones are worth it. I brought a roll of duck tape with me for repairs but I’m not sure how well it will work on the pulk. At least it is snowing hard now so hopefully it should fare better. Tomorrow I meet the rest of the lads and the next challenge begins.